The fellowship is named for Mike Hightower, who as JAX Chamber Chair in 2009 helped launch ImpactJAX, the Chamber’s young professional organization. 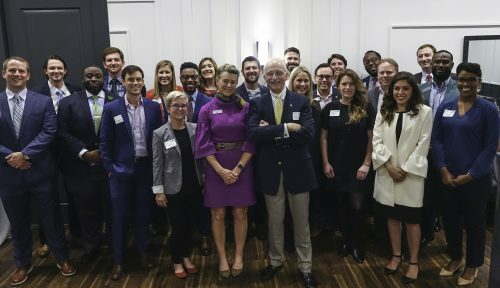 The fellowship is a nine-month program to connect talented young professionals with community leaders. Community leaders who will be speaking at monthly meetings include Debbie Buckland, Ed Burr, Tim Cost, Audrey Moran, John Peyton, Peter Rummell and Darnell Smith. The program will conclude in November. Tiffany Ashurian, Vice President of Leasing and Real Estate, Ashco Inc.